Are cheap safety gloves really less expensive than the alternative? Safety procurement often boils down to the bottom line and examining product prices. Cheaper options are always tempting, especially when economic times are tough, but inexpensive products can actually cost your business more over time. 4.5 million estimated working days are lost per year due to non-fatal workplace injuries, costing businesses around £14.1 billion annually (HSE). By using cheaper gloves that may not provide adequate protection to workers, a business may end up spending more on lost time and lowered productivity than would have been the case with the purchase of higher priced gloves. For example, a business may purchase 32,000 pairs of safety gloves at £1.20 a pair, putting their annual glove spend at £38,400. By switching to a higher cut level glove priced at £3.50 a pair, the extended wear life and protection against injuries may decrease overall glove usage to only 8,000 a year. This would reduce annual glove spend to £28,000 - meaning a £10,400 saving for the business each year! Although the higher cut level gloves are initially priced at more than double the cheaper pair, the overall annual 'cost' is far less expensive. Safety gloves should provide comfort and dexterity in addition to protection, and can even offer additional properties such as touch-screen sensitivity for use with mobile devices (see our Iconic range). By spending a little more to ensure workers can perform their jobs more efficiently, businesses will save money in the long run. 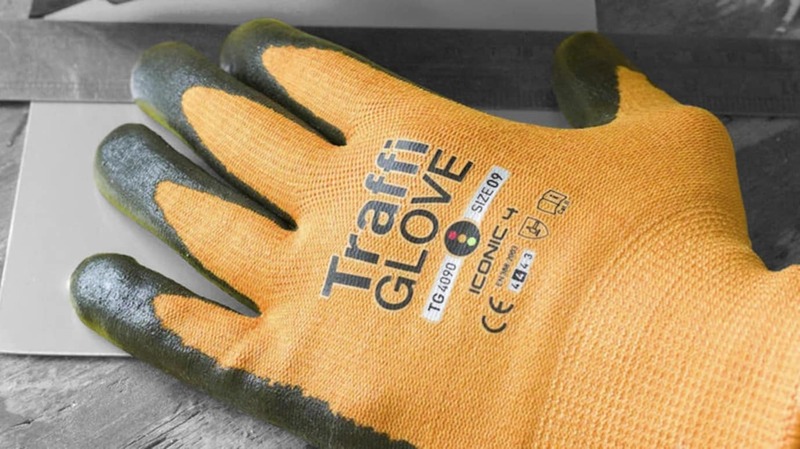 A higher priced glove may be part of a larger standardised range, such as our colour-coded TraffiGloves. Reducing the amount of styles worn by workers onsite can increase safety awareness, make training simpler, and decrease ordering times, storage requirements and duplicate products. By investing in higher quality, durable safety gloves, your company will save money by reducing the need to repair or replace gloves too often. Additionally, the risk of workplace injuries will also be reduced, minimising lost man hours and cover costs. At TraffiGlove we manufacture high-quality protective gloves which save you money by saving you trouble. You can browse our online catalogue to see our full range and get in contact if you'd like further information.